Ever so slowly starting to put my house together. I could probably get the majority of it done in one day, but when Timmy is home I would rather spend time with him, and when he's at work I focus on homework and walks in the woods. I don't regret it. I"ll have six months of boredom to fill with decorating. 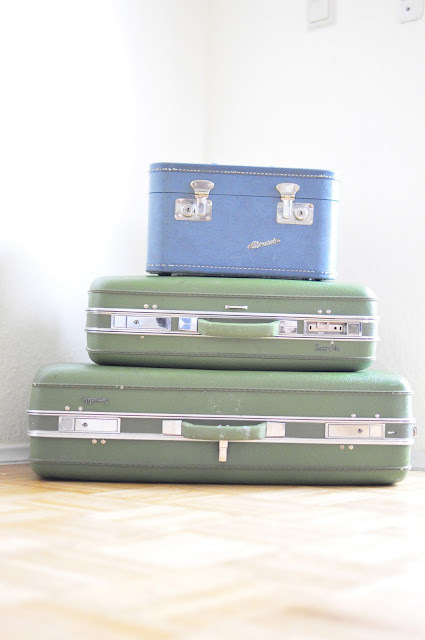 Hello, beautiful old suitcases. You look good in my living room. Not a single frame in the house has pictures in it. I kind of like it...I just imagine something different in there every day. 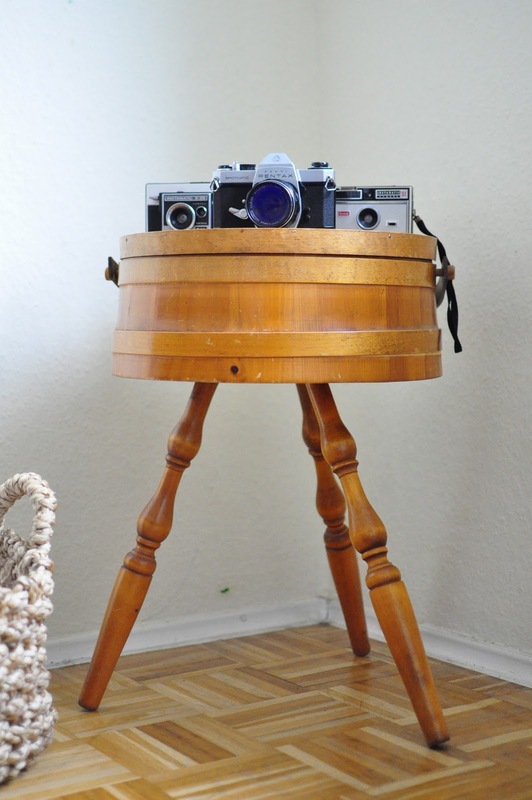 Thrifted sewing table and vintage cameras. You look good in my living room, too. I'm liking it so far. Now just to sweet talk the landlord into letting me paint, and I'll be golden. Your favorite vegetables! Mine are broccoli, cauliflower, onions, zucchini, & mushrooms. Chop vegetables for sautéing. The amount you slice up is up to you! Cook pasta according to package directions. Drain and toss with .5-1 tbsp. olive oil until well coated. Set aside. Heat remaining tablespoon of oil in pan over medium high heat. Yes, I used a little more than a tbsp. I forgot to pay attention when pouring. Sauté vegetables and garlic until soft, three to five minutes. Once finished cooking, add to pasta and mix it up! Top off with a little parmesan cheese for added flavor. 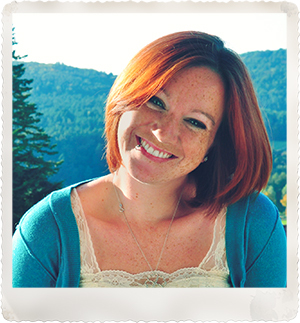 Tomorrow or Sunday will be the debut of the new blog dedicated to helping other military families PCS to Germany. Nothing fancy or overly pretty, but definitely filled with tons of facts. Hopefully it will help ease some minds or remind others of crucial steps. Guess I'll find out soon!